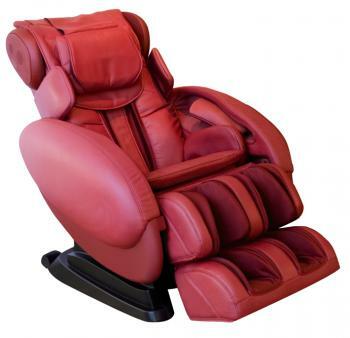 The Infinite Therapeutics IT-8200: Could This Massage Chair Challenge The Sogno DreamWave? Infinite Therapeutics is known for challenging the more established players in the massage chair industry with fresh ideas and cost-effective alternatives. This has happened again with the announcement of the Infinite Therapeutics IT-8200. Throughout the industry, there have been undeniable comparisons between the Infinite Therapeutics IT-8200 and the Inada Sogno DreamWave. Although the quality of massage and workmanship is very different, the one major difference that is causing such controversy throughout the industry is the price tag of the IT-8200. The Infinite Therapeutics IT-8200 is available for purchase at less than half the price of the Inada Sogno DreamWave. So how is Infinite Therapeutics able to offer an almost identical chair at less than half the price? Many people have been looking for holes in the design and performance of the Infinite Therapeutics IT-8200 massage chair, but even with the most scrutinous eye these holes are hard to find. In fact, upon inspection the IT-8200 appears to offer a few functions and features that are not found in the Sogno. One of the most notable features of the IT-8200 is the foot roller. This is not a common feature in today’s massage chair industry and one would ask why. Reflexology has been practiced for centuries and the foot is known to be a gateway to stimulation and relief across the entire body. Alongside this unique feature, there are also the 36 intuitive airbags, a 29-inch roller track and a very generous height allowance for the user. Infinite Therapeutics understand that zero gravity has become the standard within the massage chair industry, so it is no surprise that zero gravity is available on the IT-8200. Zero gravity massage places the lower body in a position above the heart, allowing from total decompression, increased blood oxygen levels and a more effective deep tissue massage. Duration is another enticing factor when it comes to selecting the IT-8200. Sessions on the IT-8200 can last up to 45 minutes and this is the longest for any chair in the marketplace. Sitting back and indulging in complete relaxation for almost an hour means that the user will not have to break concentration or meditation and instead can make the most of their relaxation time, both physically and spiritually. Heat is the final feature that helps to promote the IT-8200. Heat is administered to the lower back to elevate pain from the large lumbar muscles. Heat actually enables effective massage in half the time, making this chair an enticing proposition for those who are searching for instantaneous gratification from daily pain. The Infinite Therapeutics IT-8200 is undeniably the most affordable fully-loaded chair in the industry. To discover more about the IT-8200 or to arrange a personal demonstration, contact Dr. Alan Weidner, founder and CEO of massage-chair-relief.com directly on 801-417-8240 or visit http://www.massage-chair-relief.com/massage-chairs/infinity-5-star-comfort/infinity-8200/.